College students did not used to have to worry about their credit score. That was something you used to worry about around the time you entered your 30s and were considering buying a house. But after the massive economic collapse in 2008, everything about the economy and the nature of credit changed drastically. Now, the young generations entering college may not be able to buy a house even if they start planning from day one. Whether you go to University of Cincinnati or University of Colorado, you will be better off in life if you start thinking about your credit score earlier rather than later. It is easy to cruise through the first twenty or so years of your life without using credit, and while this will keep your credit score from getting worse, you need a credit record in order to get credit. You don’t want to find yourself hoping to start a family and only have electricity bills on your credit report. 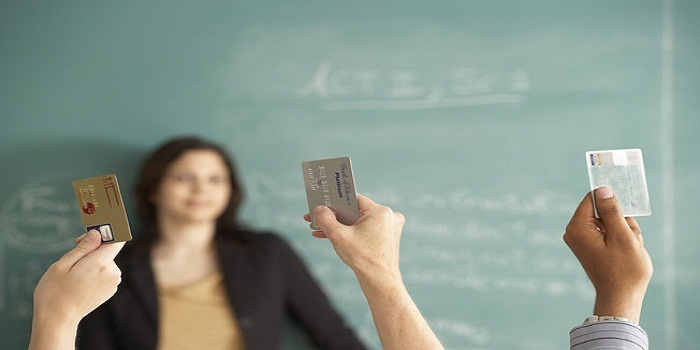 So start building credit early by making these smart credit moves for college students. With student loans, and bank transfers from parents for the lucky students, most college students don’t necessarily need a credit card to make it from month to month. But really, this is all the more reason to get a credit card. You don’t need to put anything on your credit card, so that will make it much easier to pay it off monthly. You should be able to get a credit card through your bank or another company that offers a credit card specifically for students. If you allow your credit card to carry a balance, it will be counterproductive to the reason you got a credit card in the first place. Only spend what you can within reasonable financial boundaries on your credit card. If you develop a balance on your card, the solution is not to open up another card. Carrying around a balance on multiple cards is even worse than carrying around a balance on one. The only way to help your credit is to pay off your balances each month. There are certain expenses that you will absolutely be paying off every month. If you don’t pay your electricity and water bills, your rent, or your tuition, you will have much bigger problems than a bad credit score. So if you charge these expenses to your credit card, and use the money you were going to spend on these expenses anyway to pay off your credit card balance at the end of the month, it will build up a large amount of successfully paid off credit on your credit report. That is the first step to getting a strong credit score, and this is an incredibly easy way to pull it off. Just don’t use that extra money in your checking account for anything else, or you’re in trouble.